5 Surreal Places To Get Engaged...! “All the world’s a stage” said William Shakespeare! 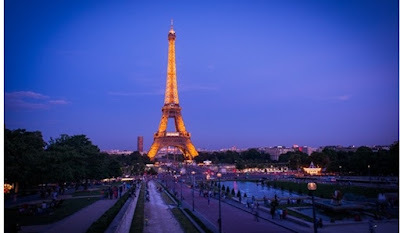 - The most visited attraction in Paris, Eiffel tower is without a doubt the best place to propose to your partner. Paris is known as the most romantic city and its Eiffel tower is just the ideal place where you will find your nervousness calming down. Choose the sunset time where Eiffel tower is glittering like stars and the dreamy surroundings become all the more surreal. Just look at the scenic place! Doesn’t it make you skip a heartbeat? Make your plans, pack your bags, book your ticket at a discounted price using Makemytrip coupons via CashKaro.com and fly to this romantic place with your partner. Wait no more! - A hotel room with a view of the one of the seven wonders of the world i.e. the magnificent Taj Mahal! And all along you thought that you might have to overspend and travel outside India to make way for an extraordinary proposal memory! TajMahal is considered as the epitome of love and the truly romantic story behind it makes it an iconic building. You can plan your proposal in the hotel balcony which has a view of this beautiful monument! Since it’s a luxury hotel, it will cause a hole in your pocket. But by using these goibibo coupons present on CashKaro.com, you can cut down on your travelling expense to a good extent. - They say if you want to visit heaven on earth, travel to Greece! 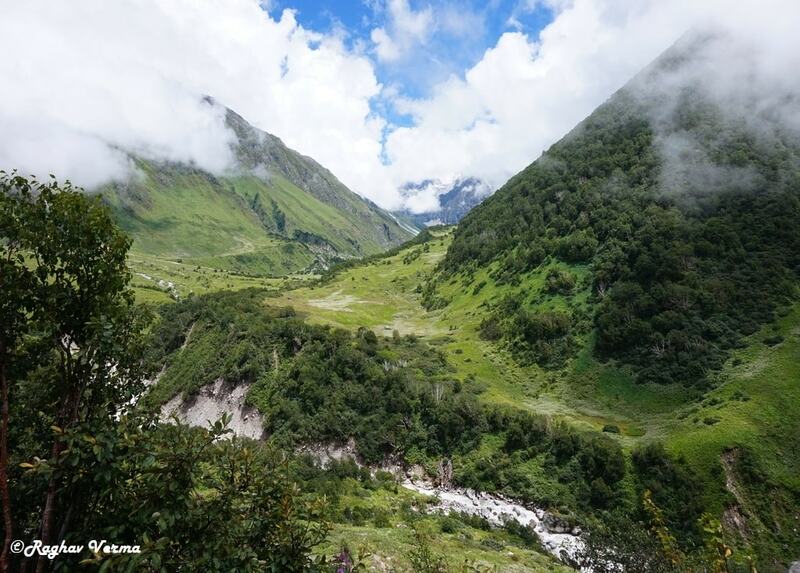 Travel to this heavenly place blessed with the most surreal surroundings to pop out that question. Be it the splendid hotels or scrumptious cuisines, breath-taking views or marvelous sunsets, this magical island is sure to woo you. 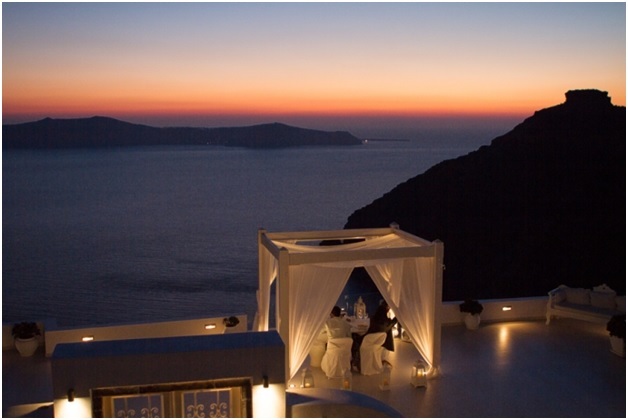 Santorini is mostly known for its calming and colorful sunset. You can take a sunset cruise and when the time comes for the sun to sink in, you can propose under the beautiful sunset. You can even take long walks with your partner from Fira to Oia where you will come across housesladen with beautiful houses, flower laden roads and cafes with a splendid rooftop view where you can drop the question!It will be sudden and simply unexpected! 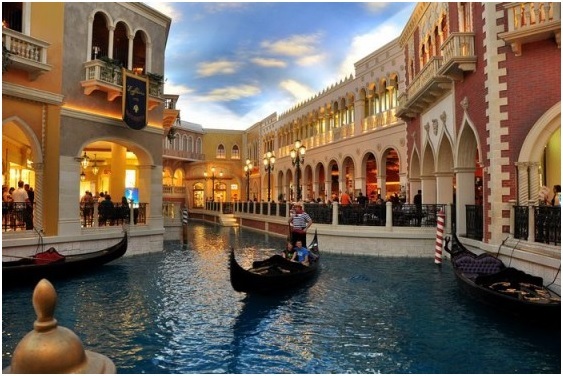 - If your style is not cheesy and overly romantic, Las Vegas should be your ideal choice! Las Vegas is not just known for its energetic vibes but also for its romantic nature. 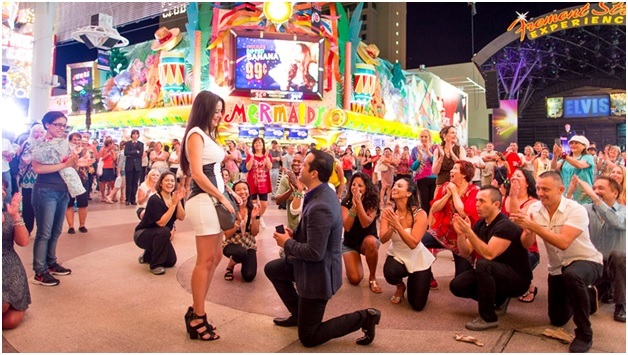 You can opt for a flash mob marriage proposal where you can select the location. The mob will perform in such a way so that you get the perfect timing to propose to your partner. Or you can also go for a photo tour proposal. A photographer will be following you and your partner and would be taking your photographs. 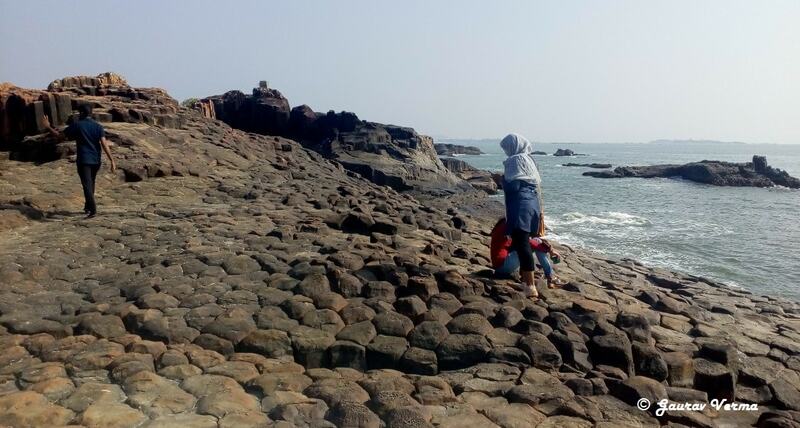 When your selected location comes, bent down at your knees and propose! There would be someone to capture that perfectly timed moment and those surprised expressions! - Planning a wedding proposal in this fairy-tale like place will be no less than magic! Just have a look at it! Doesn’t it spellparadise? 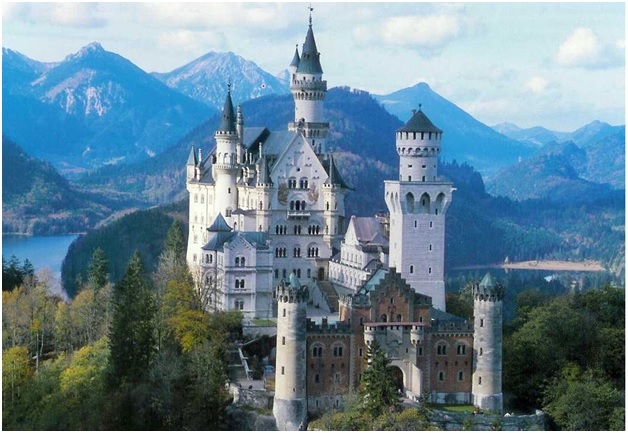 The Neuschwanstein Castle is situated in Southwest Bavaria in Germany. The castle has been inspired from Disney’s Sleeping beauty which lends it that dreamlike touch. 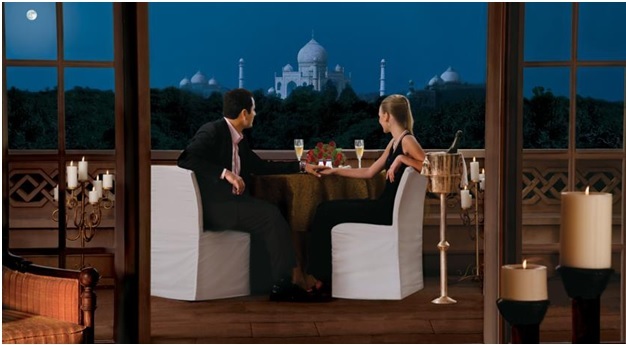 Treat the princess of your life to this place where she will say ‘yes’ instantly! This is a place whose skyline is crafted in Gold, has been a travellers’ delight since long. Located in the heart of scorching and arid Thar Desert the Golden Yellow colour becomes a delight to eyes even much before the majestic “Jaisalmer” actually begins. Boarding an early morning train (Delhi-Jaisalmer Express) from Blue City of Jodhpur, we comfortably arrived in “Golden City” at 11:15 AM with second half still with us to explore. The mighty and impregnable fortification of “SONAR Qila” rising like a mirage from the ground, which is also the largest living fort on this earth is the landmark and defines the skyline of this city. Day1, 2nd Half: Have your lunch and head towards Sam Sand Dunes. All good things should start with prayers to GODs, the road to adventures start with praying at Amar Sagar Jain Temple, which is just at exit of Jaisalmer. Though simple in appearance, every stone has been carved with utmost perfection. After praying we started for Sand Dunes. It took us around 30 minutes to reach SAM SAND DUNES. Time Required: Till Night... Night stay can also be done in the tents. The uber dazzling sands of the desert will surely appeal to your vibrant self. It is the time to be a child again, you can run on the sand, jump, slide, glide and whatever you feel like leaving all the worries behind. Many local artists are also here to entertain the visitors with traditional Rajasthan folk songs. Please fix the charges beforehand. Best way to enjoy this phenomenal place is hiring an open top Geep, which are easily available here and enjoy the adrenaline rushing drive. Once you have had enough of dunes bashing, you can shift the action to a night carnival amidst the desert sands. Sit comfortably and relax for the spell binding session of folk songs and musical instruments duets. But the occasion is not complete without the universally acclaimed “Kalbeliya Dance”, energy filled fire dances and group dances performed with exquisite craft. You can take pleasure in enjoying the carnival along with a cup of tea and snacks. Dance with a cycle wheel: Elegant display of balance and composure by the artist. Enjoy the performance..
By the time the cultural extravaganza is coming to end, a compelling aroma of the freshly prepared food will start pulling you for the dinner. Dinner is all about local delicacies like Kair Sangree, Besan ki Curry, Gatte ki Subzee and Dal-Bati-Churma. The heavenly taste and the over worked adventure filled day will ensure “EAT till you DROP”. The best thing about the food is that it is not too spicy, even small kids can enjoy the dinner. Day 2, Morning 09:00 AM: Day 1 was amazing; Day 2 was going to be much better. 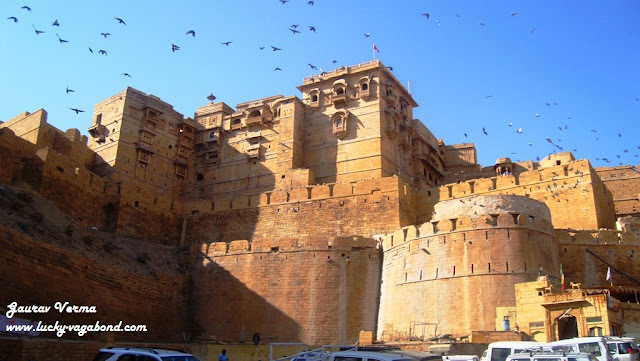 Start early and head straight to grand Jaisalmer Fort. Around 5,000 people reside inside the walls of this fort and also numerous tourists who prefer to feel the royalty from within the fort. Fort is a self contained unit with markets, temples and eateries well inside its walls. Fort also houses a huge collection of antiques. 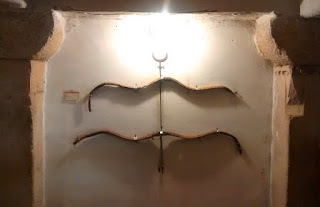 All the collection of antiques, paintings and artefacts have been preserved remarkably well. Take my words, this is only one of the intricate sculptures, Jain temples are full of much more statues which will keep you spellbind. 10 minutes walk from the fort will take you to “Salim Singh ki Haveli”, a noted prime mister of Jaisalmer. By 11:00 AM you can start for other attractions, Patwaon Ki Haveli (big residential house), 15 minute distance from the Fort. By 11:45 AM, one can start for Tazia Tower, a 5 storey minaret. Also adjacent to it is "Badal Mahal", which has been now converted in to a hotel. There are lot of good eateries nearby and shopping options, as Tazia Tower is amidst to the local markets. Last spot of the itinerary of the 1st half was Lake Gadisar. Time required: 15-20 minutes. Though we came there in the afternoon, this is an excellent spot for a leisurely and romantic evening walk. By 1:00 PM it was the time to provide some respite to the hungry stomachs. Be ready by 2:30 PM, it is time to get set to Bada Bagh. It takes about 30 minutes to reach Bada Bagh, the cenotaphs of erstwhile rulers of Jaisalmer. Sunlight sparkles the structures into an array of Golden spectacular panorama. By 3:00 PM start to Kuldhara, one of the most cursed and haunted place in India. The community which vanished one night. cursed the place that it will be never inhabited. Though it will be difficult to stick to the timeline in Kuldhara, try to reach Khaba fort by 5:30 PM to witness the amazing sunset. Read more about Kuldhara and Khaba Fort. By 7:00 PM we were back at our hotel and day was still not over yet. At a walking distance from our hotel, Desert Cultural Centre and Museum; Museum hosts Puppet shows for the visitors from 7:30 PM. Rs. 30 is the entry fees, and that is all it takes to enjoy a number of puppet shows and one can also buy local handicrafts/ puppets, which are sold by the artists and are reasonably priced too. Last but not the least an amazing dinner and a good night sleep for the next day. Day 3 Morning, 09:00 AM: We had our train in the evening, so first half was still with us. On the list was “Akal Wood Fossil Park”. Akal Wood Fossil Park takes you to pre Jurassic era. 180 million years back, here once stood a forest. Then the area got submerged in to a sea and tree trunks got preserved as fossils. Read more about Akal Wood Fossil Park. By 11:00 AM we were out of this Park and it was the time for shopping. Adjoining fort is the area for shopping and cherishing local eateries. To try here: Makhaniya Lassi, Sweet called Ghotua, Dal Baati Churma, Pyaz Kachori, Tea prepared out of camel milk and whatever preferred in this region. Do not forget to take Jaisalmer caps/ Pagdi for a royal look. If you have one day more in Jaisalmer, one can also visit to Border Tanot Mata Temple, 125 kms. from Jaisalmer. 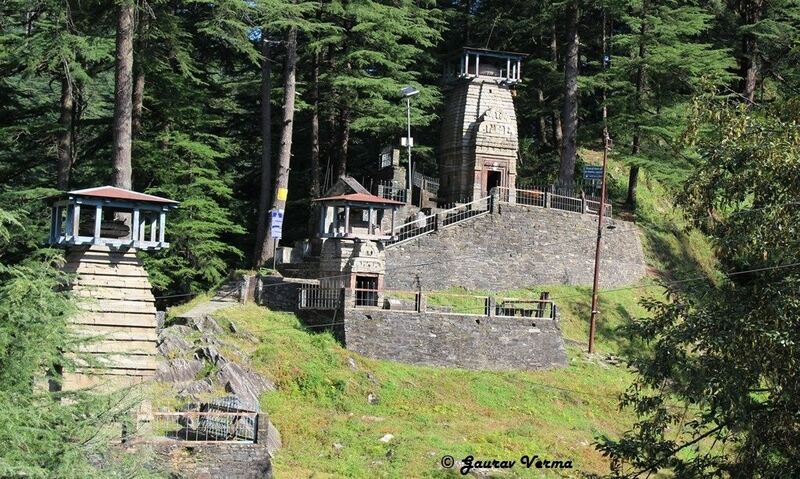 This temple is located close to Pakistan border and has remained untouched despite heavy shelling during 1971 India-Pakistan war. Outcome of Longewala battle is also credited heavily to this temple. Keep at least 6 hours for to and fro journey. Area wise Jaisalmer is the largest district in state of Rajasthan and is a World Heritage Site. However share of population is the least. Jaisalmer is 300 Km. from Jodhpur, journey by road takes around 4.5 hours. To summarize, enchanting Jaisalmer has taken a bit sheen off Jodhpur, but that is the beauty and charm of exploring the land called India. While returning you can take night train (2355 hrs, No. 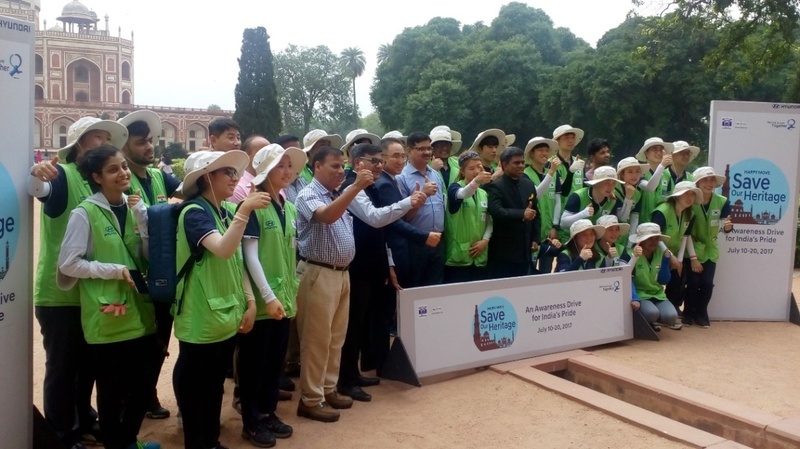 - 12467, LEELAN Express) and a day for Bikaner (300 km.) noted for Junagarh Fort, Karni Mata Temple.